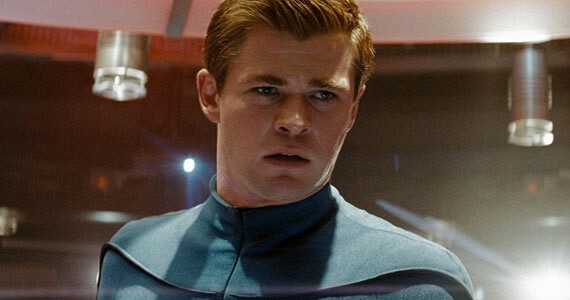 With Star Trek Beyond just a few days away from its wide premiere, Paramount has announced that the fourth film in the series has been greenlit, and it comes with a surprise casting announcement: Chris Hemsworth. George Kirk has been a spectre over the reboot version of James Kirk for three films, and was even mentioned in the trailers for Star Trek Beyond. Having both of them meet sounds like an exciting proposition, even if they’re vague on how the production team intends on bringing Hemsworth back. What intrigues me is that there seems to be a possible connection between Star Trek 4 and the abandoned version of Star Trek 3. For those of you who aren’t quite up to date, Roberto Orci was originally set to direct Star Trek 3, with a screenplay by himself along with J.D. Payne and Patrick McKay. In the end, Paramount decided to abandon Orci’s pitch, and go in another direction with a new screenplay written by Simon Pegg and Doug Jung for Star Trek Beyond. However, Payne and McKay are now tapped to write the fourth film. The reason I bring this up, is that it was rumored at the time that Orci’s film would involve a time travel device that the Enterprise, the Vulcans, and an unknown alien race were trying to get their hands on. The Vulcans were hoping to undo the destruction of their homeworld, while there was a rumor that William Shatner would be reprising his role as an older James T. Kirk. I find that there are far too many coincidental links here to ignore. A supposed time travel film that would introduce two Kirks to each other, written by J.D. Payne and Patrick McKay, sounds like it could either be the abandoned third film, or the announced fourth. Could it be that the producers just decided to delay the film for a fourth entry (or simply pull the script out of the trash heap)? The remaining cast is expected to return for the next film, as well, with the exception of Anton Yelchin, who recently passed away in a tragic accident. No one is yet set to direct the next film, but JJ Abrams will produce once again. With the screenplay already being developed, it seems that we could have Star Trek 4 released in as little as two or three years from now.